should serve for millions of kids as IGNITION for a happier, socially better and healthier life (also fighting obesity and lack of movement) as it considers all vital needs of children. 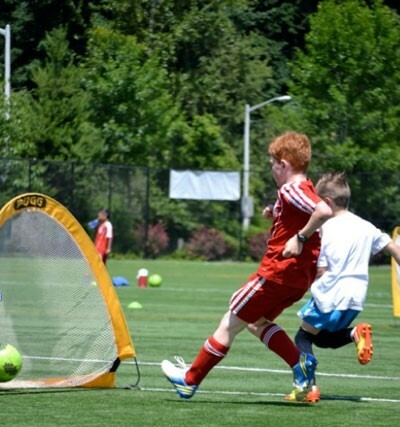 On Saturday June 29th Hillsboro Soccer Club, located outside of Portland, Oregon, held what may have been the first event of its kind in the United States. The “FUNiño Festival” hosted free of charge by the club was meant to help educate parents and the public about the new direction the club has taken with regards to soccer development amongst the 7-10 year old age group. 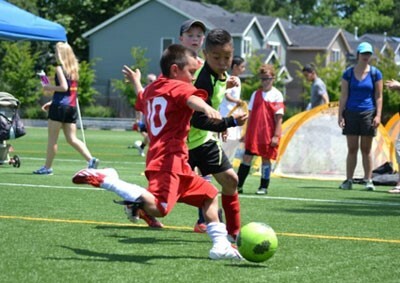 Ten 3v3 sized Funiño soccer fields measuring 32×22 yards were set up on two regulation size fields at the 53rd Street Sports Complex in Hillsboro, Oregon. Over one hundred 7-10 year old children participated in the one day event that lasted around two hours. Each team played three 15 minute games and then the top two teams from the u8 bracket and the top two teams from the U10 bracket played off in a championship match for each age group. The Funiño environment, conceived by the German youth coaching icon Horst Wein, has many positive aspects that help the children rapidly improve their level of soccer. Funiño refers to “FÚtbol a la medida del NIÑO”, or in English – soccer taylor-made to the child. Games are played in which teams defend and attack two wide goals instead of one central goal. The players may only score within an attacking scoring zone which encourages the players to build the attack and to create more 2v1 opportunities rather than just kicking the ball forward. During the festival the attacking team had the restriction of having to have each player touch the ball before their team could score. Of course when the children were asked what they thought about the FUNiño Festival they never mentioned how many touches they got on the ball, how many 1v1 and 2v1 situations they encountered, or even how many goals they scored. When asked at the end of the day what they thought of the FUNiño Festival the players gave answers like “That was awesome!”, “It was fun.”, or “I loved it.” Perhaps the most important byproduct of the FUNiño environment is how it helps develop a child’s love for the game. Below are some photos of the event. FUNiño is the first building block in an age-appropriate soccer development model. It is especially designed for children under 10 years of age, and is much like “street soccer” played by children in years gone by. It is designed around the same concept as Little League Baseball or Basketball, both of which use equipment and playing areas and rules scaled down to match the size of the young children. This small-sided game allows kids to achieve immediate success – and further their achievements as their skills develop and their confidence grows. Legendary Coaching Mentor Horst Wein believes simplified small games are imperative for the proper development of youth soccer players. “When you do what you have done always, you will never reach any further” – Horst Wein. FUNiño, with its rules perfectly adapted to the physical and mental capacities of children under 10, is critical to the long-term growth of the game of soccer, and ultimately to the development of generations of even better players and future champions. The smaller pitch, and more especially, the two wide goals at each end, encourages young players to play the game first in their head before they finish their actions with their feet. Reading the game situation and knowing which goal to attack demands good perception skills in order to make good decisions. This game set-up brings the fun back to soccer and keeps the children wanting more. The pitch size, 30m x 25m for all competitive games for 8 and 9 year olds, allows the players to reach a teammate anywhere on the pitch with a size 3 or 4 ball. This helps them to improve their perception and decision-making skills. Moreover, the players touch the ball much more often than in Futsal or 5-a-side or 7-a-side soccer. FUNiño fosters correct technique, enhances better tactical play and ensures full participation of all players both physically and mentally – all key components for success in competitive play. Because the game does not require much space, eight mini-pitches could be set up on a regular soccer field with 64 boys and girls between 8 and 10 years of age, all playing at the same time. This also makes organizing competitions much easier and inclusive as more small teams are involved. Plus there are more opportunities to face different opponents. There are 33 FUNiño games and many variations to be discovered by the kids before they move on to play 5-a-side soccer or Futsal at 10 years of age. Many parents agree that scaling the game of soccer down to the size of these young children, and keeping the size of the team to just three players plus a substitute, will promote greater participation among school-age children. It will also help children to develop confidence, self-esteem, communication, teamwork and effort, thus contributing to the character formation of these future citizens. From the earliest exposure to the game, FUNiño introduces the concept of Game Intelligence. Not only are these players thoroughly enjoying themselves, but they are (often, unwittingly) developing aspects of the game previously ignored – which would not have happened in random street games. Considered a coach for the world’s best coaches, Horst Wein has consulted for FC Barcelona, Arsenal, Inter Milan, Sunderland, Leeds United, Atletico Bilbao, Villareal, Real Sociedad, Bayer Leverkusen, VFB Stuttgart, Schalke 04, Mainz 04, St Pauli, TSG Hoffenheim, Deportiva Cali, Peñarol Montevideo, Santa Fe Bogota, Pumas,Club America, Nacional Montevideo, Universidad Católica, Liga Univeraria Peru, Los Rayados de Monterrey, Santos Laguna, Necaxa, FC Adelaide and FC Kenkre. Wein has also worked with the National Federations of England, Scotland, Spain, Italy, Austria, Germany, Estonia, Sweden, Denmark, Finland, Argentina, Mexico, Uruguay, Colombia, Chile, Peru, Ecuador, Venezuela, Panama, Australia, India and Singapore. Horst has published numerous books on coaching and player development as well. Perhaps one who has accomplished so much has wisdom others should discover, understand and possibly learn from. 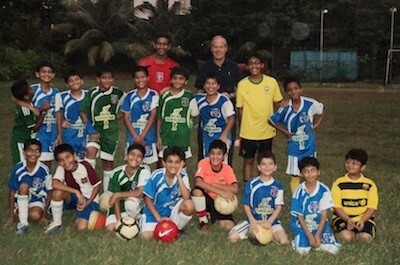 Horst Wein often asks, “Who is the best coach in the world?” and he answers the game of soccer itself – so let the kids play and discover the beauty of the game. 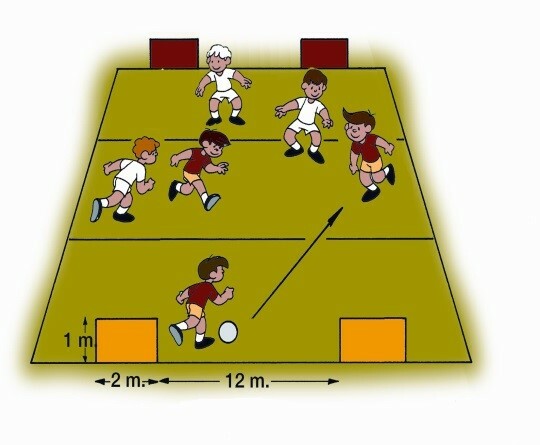 In FUNiño children play three against three on a smaller pitch, with a fourth player who rotates in and out of the game systematically. There is no goalkeeper, but there are four goals – two to attack and two to defend. One of the two goals that are defended is always defended by less players than the other. This goal is attacked by the player in possession with his or her team mates – allowing the players to learn how to attack with more players than the defense. Each child often has possession of the ball, has to constantly make decisions and has to run more. Because of this, FUNiño teaches children to control their bodies and to act quickly, meaning that players who train in this way have an advantage that goes beyond pure athleticism: a team with players who can anticipate scenarios quickly and make the right decision and are particularly good at controlling their bodies and the ball is better than a team that relies solely on power and stamina. These are the skills that FUNiño promotes in 6 to 10 year-olds. What is the main objective of ? Nature decrees that children should be children before they become adults. If we try to alter this natural order as we have done for decades in the world of soccer, children everywhere will reach adulthood prematurely but with neither substance nor strength. That is why the game of soccer must be simplified and adapted perfectly to the mental and physical capacities of children in different developmental stages. The soccer children play should fit them perfectly like their shoes. Kids of 8 years are very different from 10, 12 or 14 year olds, they should play different, age-appropriate games. is the first FUNdamental building block of my Youth Soccer Development Model, “ ” (used in Spain for the last 26 years). It is considered the ideal competition to introduce children up to 10 years of age to the complex game of soccer. is the beautiful game for kids, the ultimate Mini Soccer Game with 4 goals to stimulate creativity and game intelligence. Having 4 goals instead of 2, the youngsters become thinking players and not somebody who simply carries out the instructions of their coach which is still the case in most countries today. helps to fight obesity, sedentary lifestyle and passive learning so prevalent today and stimulates the kids to use their intelligence in play. What is the underlying innovative model behind ? with 2 goals on each end-line and only 3 players per team encourages active physical and cognitive involvement in the game. Compared to any other game, provides more ball touches, more dribbling, more passing, more shots and more GOALS! It allows the young player to feel capable and stimulates their game intelligence as there are more options and decisions to be made (because of the 2 goals to attack). demonstrates that soccer starts in the head and finishes with the feet! The future in sport is the introduction of the Game Intelligence Approach to Coaching. Improves and facilitates socialization and comunication skills in between the youth team of 4 players (everybody needs the other three to contribute to the success of the team). Nobody can hide. Everybody has to be active to succeed and enhances life and learning skills. Tradition: Adults are not used to initiate a change. Adults must learn to put children first! We must challenge the closed mindset which focuses primarily on winning and replace it with an open mindset which values development. Whereever has been introduced, it became the “healthiest drug” for the players up to 10 , as every player feels capable! No more scrummings around the ball, more ball touches for every player, more involvement mentally and physically, more physical participation of all players, dynamic instead of static game situations, more goals (everybody scores) and feeling of success for everybody. The non competitive enviorement eliminates stress and enhances comunication skills. 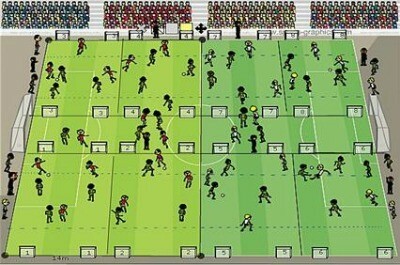 is a unique soccer game for young children between the ages of 7 and 9 but also for adolescents. While it’s obvious meaning is FUN for kids (Nino), it also derives from my Youth Soccer Development Model, FUtból a la medida del NIÑO, or soccer designed for children. Having two teams of just 3 players each means lots of action for all the kids with many associated benefits. Having 4 goals instead of 2 also means that there are more options on the pitch, more decision making and more game intelligence. But most of all is designed for young children to fall in love with the game, so that it becomes a sort of “ignition” for a lifetime playing soccer. 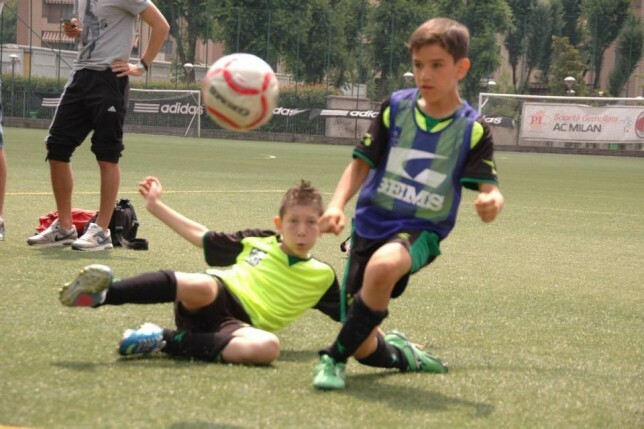 Moreover, is more than one game, it has 33 different variations which always keeps it interesting, while covering all the major aspects of soccer for this age-group. has been proven and refined over 30 years and is now ready to make a major contribution to the sporting lives and welfare of millions of children worldwide. is designed with equality for all children in mind. 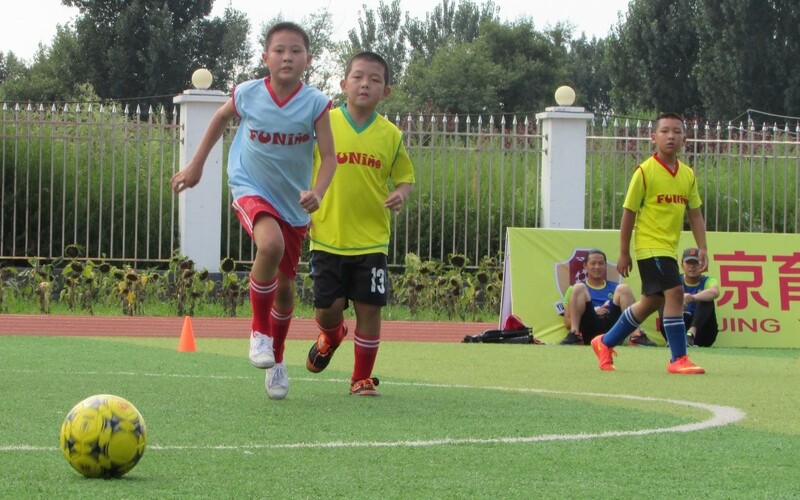 Because the games are non-competitive (no leagues) and rolling-substitution is always in use, there is equal-playing time for all children, boys and girls. Also, the interactive coaching style, using guided discovery helps to empower young children by having a greater say in their soccer experience. has been designed in the early 80’s as an age-appropriate model of soccer development for young children from 7-9 but wthout doubts can be used also by older children later on. is an important tool to coach complete and more intelligent players. The interactive environment is very empowering to children. encourages young people to live an active life and the quality of relationships and teamwork contribute greatly to social development. has the power to change adults’ perception of children in sport. Because of the non-competitive element, with a major focus on development rather than winning, adults can relax and enjoy the children’s learning experience, and furthermore children can enjoy the fun of playing in a stress-free environment. involves families in a friendly sharing environment where children are allowed to be and feel like children and experience the pure pleasure of playing for FUN. It is simple to organize festivals or large-scale social events using , as it takes up very little space, one full-size soccer pitch can cater for 64 children at the same time. Within weeks young players’ whole outlook on sport can be greatly enhanced and their ability to learn and play the game shows remarkable improvement. Not that he doesn’t appreciate the value of coaches. “When you do what you have done always, you will never reach any further,” he says, underlining his belief in innovation. Especially for kids initiating their career in football from the ages of 7-9, it is very important that they fall in love with the game. When this happens and football become their healthiest drug then they continue to play the game for a lifetime. Through my webpage www.thebeautifulgame.ie we offer a very unique game format, 3v3 on four goals called FUNino which will lead to play even at 8 or 9 years “The Beautiful Game” as the best teams of the world are demonstrating it. 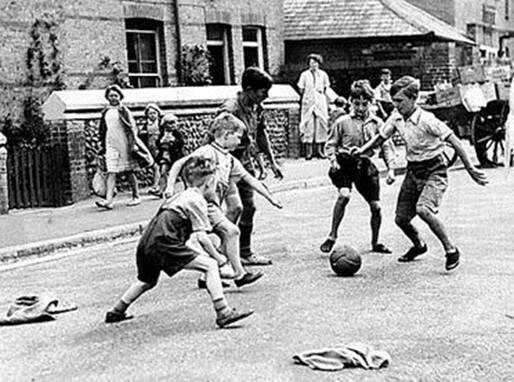 What did street football teach children that has been lost today? Today most players have good technique and physical preparation so what separates the very best players is their level on game intelligence. It has to be considered the most important ability on the football field. Therefore young players have to be systematically exposed to games like Funino which unlocks and stimulates their creativity and game intelligence from 7/8 years onwards. Game Intelligence is that ability to “read the game” and make good decisions as quickly as possible. The game of football is a constant flow of changing game situations and becomes very complex when playing the adult game of 11 v 11. From the earliest ages, players must be exposed to game situations in ever-increasing complexity, but starting with simple games first. In FUNiño, 3v3 with two goals out wide at each end, there is always options available, as one goal is usually less defended than the other. This facilitates greater perception, understanding and decision-making. In subsequent games in our development model, the game situations become more complex. 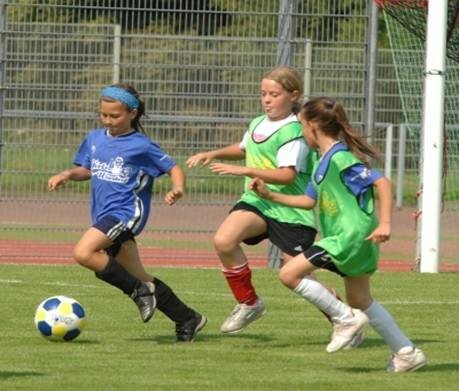 Youth Soccer News: Horst Wein on the Best Player Development is Fun. More than 25 years ago, Horst Wein, a legendary coach who is well known for his work with many top soccer clubs and federations around the world, proposed a revolutionary new game for players under 10 years of age. This game, which for the first time presented his unique Game Intelligence Approach to Coaching Soccer or Football at all levels, had the potential to fundamentally change the landscape of football/soccer forever. While the game has been generally ignored in America, it has spread throughout Europe, becoming especially popular in Spain, Germany and Italy. 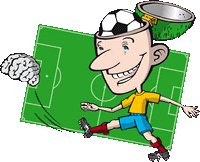 In fact on October 31, 2012, Arrigo Sacchi, Technical Director of the Italian Football Federation, strongly recommended in a circular letter to all Serie A clubs to introduce this unique game to their youngest players under 10 to “produce more thinking players” whose soccer or football will start in the head and finishes with the feet! FUNiño, originally called Mini Football, is a 3-a-side game played with four wide goals instead of the traditional two central goals, and the pitch required is only slightly bigger than a basketball court. When it was first introduced in Spanish clubs, most youth coaches were very excited about what this change could mean for the future of young players, 7 to 9 years of age, who were just beginning their progressive program of football education. FUNiño is the first building block in an age-appropriate football development model. It is especially designed for children under 10 years of age, and is much like “street soccer” played by children in years gone by. It is designed around the same concept as Little League Baseball or Basketball, both of which use equipment and playing areas and rules scaled down to match the size of the young children. This small-sided game allows kids to achieve immediate success – and further their achievements as their skills develop and their confidence grows. The pitch size, 30m x 25m for all competitive games for 8 and 9 year olds, allows the players to reach a teammate anywhere on the pitch with a size 3 or 4 ball. This helps them to improve their perception and decision-making skills. Moreover, the players touch the ball much more often than in Futsal or 5-a-side or 7-a-side soccer. FUNiño fosters correct technique, enhances better tactical play and ensures full participation of all players both physically and mentally – all key components for success in competitive play. There are 32 FUNiño games and many variations to be discovered by the kids before they move on to play 5-a-side soccer or Futsal at 10 years of age. Many parents agree that scaling the game of soccer down to the size of these young children, and keeping the size of the team to just three players plus a substitute, will promote greater participation among school-age children. It will also help children to develop confidence, self-esteem, communication, teamwork and effort, thus contributing to the character formation of these future citizens. Learning how to play soccer the right way, playing it first in the head before finishing with the feet, is beneficial for kids both now and in the future, whether they pursue the game recreationally or at the very highest levels. 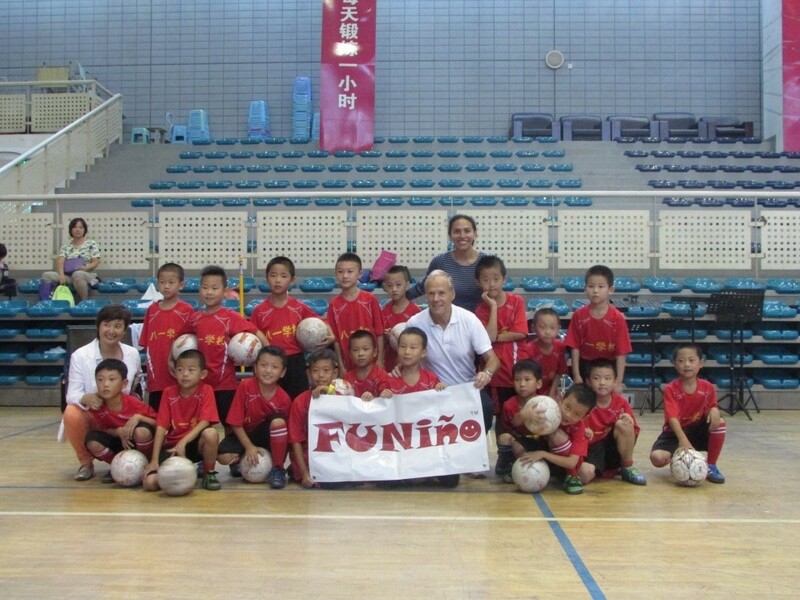 With FUNiño, learning takes place in a fully-integrated holistic environment, just as in the game itself. There is no isolation or separation of technical, tactical or physical elements. As FUNiño is played in a small space with few players, the same basic game situations (especially the 2v1) appear again and again, ensuring plenty of opportunity to learn and master them. The game promotes much greater spatial awareness – the appreciation of both width and depth – than in any other game. Because of this greater awareness, FUNiño helps to develop “off-the-ball” play. FUNiño is easy for players to understand and learn. Due to the smaller teams and fewer rules, it is much easier to see everything and analyze situations. Smaller teams mean a less difficult, less complex game for young players. Learning to attack and defend comes naturally within this game. Players have more time and space to think and act than in 5- or 7-a-side soccer, and they experience a greater feeling of competence due to making good decisions and fewer mistakes. Smaller teams also mean more touches on the ball, improving technical and tactical play, dribbling, passing, receiving, beating a man, tackling, and more. Each of the players participates fully in the game, physically and mentally, in attack as well as defense. Their efforts are usually quickly and frequently rewarded with a goal, much more so than in the traditional games for this age group. The use of frequent rolling substitutions gives all the players on the team plenty of, and more or less equal, time on the pitch. Substitutions are simply a matter of taking your turn, rather than a “punishment” for poor play, and this is a very significant psychological factor for young players. Because of this, each player has plenty of opportunity to “be in love with the ball,” to improvise and to take risks without fear of making mistakes. Additionally, with only three players on each team, players start to tire after a short time; this reduces crowding of players around the ball, a characteristic of this age group. As the children slow down, they start to play more simply and the game becomes even easier to understand. Also, as there are no long clearances, FUNiño becomes a safer game. FUNiño requires the players to use all their muscles, especially that most important muscle: the brain! Because there are always two goals to attack or to defend, the smart player can compensate for his lack of strength and height with good perception and decision-making skills. Even the less technically-competent players will gradually improve their technique through frequent contact with the ball as they participate increasingly more in the game than in 7-a-side and 11-a-side soccer. Because FUNiño uses four goals instead of the two traditional centralized goals, it encourages the players to look and think more before they act. Thus, the players rapidly learn how to use space optimally in the different phases of the game. Players come to learn to always attack the least defended goal. This encourages them to use their creativity, spontaneity and improvisation. FUNiño also helps to attract children who generally do not like sports to the game, as there is no real barrier to entry technically or tactically. Most importantly, there are plenty of opportunities to score goals! There is such a great variety of FUNiño games and their variations (over 50) that there is always some game for any child to enjoy. The games and variations of FUNiño, more than any other form of soccer, promote essential life-skills such as perception, decision-making, intelligence, imagination, innovation, creativity and endeavour. The simplicity of FUNiño leads to far fewer errors than in 5 or 7-a-side soccer as all the players can easily grasp the important aspects of the game; this gives them great confidence in their own ability. Additionally, young players are made to feel like adventurers, as the coach lets them discover the game for themselves without too much interference. Just like Street Soccer, the game is the teacher, not the coach! The less the coach instructs, the more scope for the child to discover what the game offers and to learn from his or her own mistakes. FUNiño is also the ideal beginning game for coaches because it provides them with a feeling of competence they enjoy and encourages them, just like the players, to stay in the beautiful game. The game is easier to analyze, and even the input of a novice coach for his team is much more effective. Individual player performance is easier to analyze and technical/tactical issues are easier to identify. The game also has benefits for more experienced coaches. The coach can modify the rules of the games at any time depending on the conditions and the players’ ability, simplifying or intensifying them to ensure that the players are challenged but not overstretched. Rolling substitutions after every goal means that the coach does not have to worry about the responsibility of equal playing time for the players and thus reduces the potential for conflict with parents. Finally, coaches no longer have to put their “strongest” team out on the field, as the result is not all-important. Referees are encouraged to participate in FUNiño from as young as 16 years of age. The rules are so easy to apply and the game so easy to analyze, that decision making is more successful. Because of this, the potential for conflict with the players, coaches and parents is much less than witnessed in the usual formats such as 7v7. FUNiño is also the ideal launching pad for young referees, who can subsequently, (like the coaches and the children) learn their trade in a progressive manner (3v3, 5v5, 7v7, 8v8 and then 11v11). These young referees are more likely to continue in the game. And finally, what of the parents? The enjoyment that children experience playing FUNiño (a game designed especially for them), with all the benefits mentioned already, is the greatest pleasure that parents can ask for. Knowing that their child has the greatest opportunity to develop to their full creative potential is very important to many parents. FUNiño acts as an important tool for the physical conditioning of all the players, encouraging them to adapt an active lifestyle. Moreover, the physical intensity of the game, where no player can hide, does much to combat the effects of today’s sedentary lifestyle and the risk of obesity. Having a safe place to go, where they experience acceptance, participation, fun and enjoyment and can let off steam, also gives the players a welcome respite from the more serious aspects of life (such as school). Because players experience competence, enjoyment and belonging, they have more balanced self-awareness and are better prepared to make their way in the world, whether in the world of sport or other spheres of life. The coach offers a safe, relaxed environment where freedom of expression and full participation is encouraged and praise is given frequently. Players learn through experimentation and creativity and are given freedom to make mistakes. Young players are encouraged to think for themselves without being spoon-fed information all the time. They learn how to process information, recognize problems, find solutions and implement them. This is important for success in all areas of life. Emotionally, players learn to control their reactions in critical moments of the game, like conceding and scoring a goal, which happens very often. They have little time to get angry because they are too preoccupied, mentally and physically, with the demands of the game. Respect for other players, for the officials and all people involved in the game, and for the rules are essential in soccer. Likewise, honesty and sincerity are vital in daily living. FUNiño teaches players to value and accept the rules as part of the game and to play fairly and not try to gain any advantage through foul play. Players also learn not discriminate against any player, whether teammate or opponent, on the basis of ability, race or gender. FUNiño teaches players not taunt those who are playing worse than they are or to tease opponents in defeat and to always congratulate the winners after the game. FUNiño is considered by many to be “a revival of street soccer” – a natural form of play which produced many great international players, without the presence of any coach. FUNiño is an improvement on street soccer, since the games themselves have been thoroughly thought through and proven to improve all aspects of learning the game. Scientific research enhances nature. FUNiño is a completely novel approach, breaking with the traditional mode of playing the game with only two goals. FUNiño adapts perfectly to the technical, physical and intellectual capacities of boys and girls from 7 to 9 years of age. Considered a coach for the world’s best coaches, Horst Wein has consulted for clubs like for example FC Barcelona, Arsenal, Inter Milan, Sunderland, Leeds United, Atletico Bilbao, Villareal, Real Sociedad, Bayer Leverkusen, VFB Stuttgart, Schalke 04, Mainz 04, St Pauli, TSG Hoffenheim, Deportiva Cali, Santa Fe de Bogotá, Peñarol Montevideo, Pumas, Club America, Monterrey, Cruz Azul, FC Pachuca, Necaxa, Nacional Montevideo, Universidad Católica, Liga Univeritraria Quito, FC Adelaide and FC Kenkre. Wein has also worked with the National Federations of England, Scotland, Spain, Italy, Germany, El Salvador, Panamá, Honduras, Estonia, Sweden, Denmark, Finland Argentina, Mexico, Uruguay, Colombia, Chile, Peru, Ecuador, Australia, Zambia and Singapore. Since the Olympic extravaganza we saw in London this summer, there has been an increasing focus on the role that sports can play in society. In the UK, Britain’s Mo Farah recently joined London’s mayor, Boris Johnson, spearheading a campaign to improve child fitness. In the U.S., Michelle Obama had already forged an inspiring Let’s Move! campaign and she memorably appeared in a video dancing along with girls at a Washington, D.C. school last year. Yet obesity is a problem that can be remedied. A report presented by Nike and other organizations showed that as children reach adolescence, their preferences — for physical action or inactivity — begin to take shape, and by early adulthood have hardened. When kids are young, before the age of ten, there is a critical window of opportunity when their habits and motivations can be influenced. Thus (as Nike’s campaign stresses) we need to give kids opportunities to play and have fun, and to integrate exercise and activity naturally into their lives. We need to change the conversation around sports and exercise and to make it more appealing to them. What happens if we do nothing? The potential consequences of the obesity epidemic are alarming. Right now, almost two-thirds of the world’s population live in countries where being overweight kills more people than being underweight. These trends are visible almost everywhere. In a striking video, the researchers at Nike note that for the first time in history, members of this generation are expected to live five years less than their parents. This explains why so many policy-makers are taking action. In Qatar — where high temperatures discourage outdoor exercise in the daytime — obesity and related health problems like diabetes are rising; Qatar ranks sixth in the world globally for prevalence of obesity. Besides hosting the soccer World Cup in 2022, its leaders are consistently engaging with this issue. For example, the Emir’s declaration of a National Sports Day and the country’s investment in the Aspire Zone, a 240 hectare state-of-the-art athletic complex, symbolizes Qatar’s everlasting commitment to sport. Created in 2004, the Aspire Academy further helps transform promising student-athletes into champions both on and off the field. Obesity is a problem that nearly every nation in the world is facing but there is much that we can do to fix it. Let’s move and take action on this issue. And let’s not forget that in addition to its physical benefits exercise makes people feel better about their daily lives and boosts happiness levels too. “Initially I was inspired by 2 of the published books (Developing Youth Football Players and Developing Game Intelligence) which let me to this seminar. This seminar was exceptionally informative and enlightening; more specifically with Game Intelligence method, the boys gained more confidence on the ball and started looking for each other. “I have been a soccer player since the age of 8 (I’m 48 now), and I have always loved the sport. Now I realize that this is likely because I spent my formative years playing short-sided pick-up soccer–often using a tee-shirt for a goal (and no keeper). Despite having played through high school and into college, I have always considered the “pick-up” game to be the highest expression of the joy of the game. Win-at-all-costs was not even a thought. “I just wanted to let you know what a rewarding experience that I had in Philadelphia at the coaching clinic. We spoke of the Game being the Teacher, Guided Discovery and Game Intelligence in the class, when you actually see it take place before your eyes it takes on a whole new meaning. When you had the players together, set the rules, asked them how many defenders they wanted to challenge to score and gave different values for the goals relevant to the number of defenders they beat. When they were ahead they chose 2 defenders or 1 defender but they knew when fell behind they chose to go against 3 or 2 defenders and they communicated that amongst themselves with no input from any adult. “I have been a big believer in Horst’s methods since I got into Developing Youth Football Players 3-4 years ago and have seen firsthand how quickly my players have progressed based on training in this kind of way (not to mention that they really enjoy coming to training). No matter how much I learn, I keep coming back to this book and refer to it as ‘my bible’ for coaching players. I also want to mention that I am working with very ‘serious’ and ‘competitive’ players for whom playing in college is probably the goal (although some want to play professionally). The reason for mentioning this is that I think many of us coaches work in environments that we believe are not ideal for player development, but we can work in this way, feel that we are doing right by our players, and still prepare them for the current reality of competitive play at 10-12 years old (changing that paradigm is a different argument, but one I do believe can happen if like-minded people such as the ones attending your seminars can work together to make FUNino a viable playing option for players as opposed to 8×8 leagues at U8 or U9). For me, there’s no question that regardless of your coaching situation, coaching in this way will only yield benefits for your players. It seems so logical and clear to me that players at 8-9 years old should absolutely not be playing with 7 or 8 players per side. I’ve always thought that it was stupid to throw players out there into these games when it’s clear that from a cognitive stand point they aren’t able to handle it. I always thought it made sense to shrink the numbers and size of the pitch down to where the players could play ‘good soccer’. I’ve always followed this principle in my sessions and I think it’s a reason as to why my players have always learned quickly. Starting in the 2014 fall season, Decatur Soccer will begin the pilot phase of a separate grassroots player development program based on the methodology created by Horst Wein, the world’s leading authority on developing youth soccer players. He calls it FUNiño. 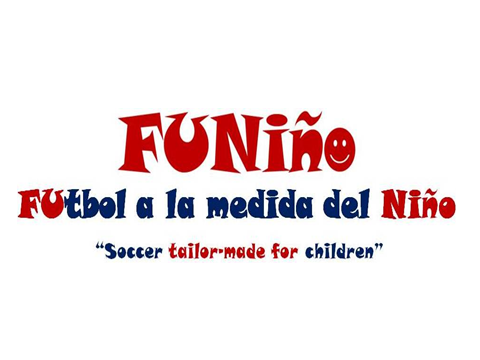 FUNiño is the abbreviation for or “soccer designed for children”. It’s the result of Horst’s 30 years of observation, innovation, practice and continuous improvement in the field of youth player development. FUNiño is the foundation of Horst’s Youth Football Development Model. FUNiño, along with other elements of Horst’s model, is a proven learning and coaching methodology that we believe is ideally suited for Decatur Soccer and grassroots soccer in general. We believe. FUNiño is the best way for kids to experience the game of soccer. Soccer is a “player’s game” and not a “coach’s game” because players make nearly all the decisions in a game. Because of this, the game of FUNiño becomes the teacher and the rules are the instructions. Everything about FUNiño was created with this in mind. It nurtures creativity and builds vital problem solving skills so rarely seen in US youth soccer. The FUNiño Curriculum has been tested for more than two decades in professional and amateur youth academies and grassroots soccer organizations around the world. Despite the adoption and success of FUNiño around the world, it is relatively unknown in the United States. FUNiño is used at only a handful of forward-thinking competitive youth clubs around the United States as a training methodology. Decatur Soccer, as far as we know, is the first “recreational-only” youth soccer organization in the United States offering a complete FUNiño player development program. During a FUNiño game, there are no set positions; everyone attacks and everyone defends. Even the rules of FUNiño are designed to quickly and randomly present problems that must be solved to be successful. As a result, players learn much faster than they would in a normal game. During FUNiño games, the coach’s role is greatly minimized. The coach has a much larger role during training sessions, but even then, the games and activities themselves are designed to do most of the teaching. A large part of our coach education program is learning how to ask the players questions that guide them to the solution instead of simply telling them what to do. This “guided discovery” method is key to creating an optimal learning environment. 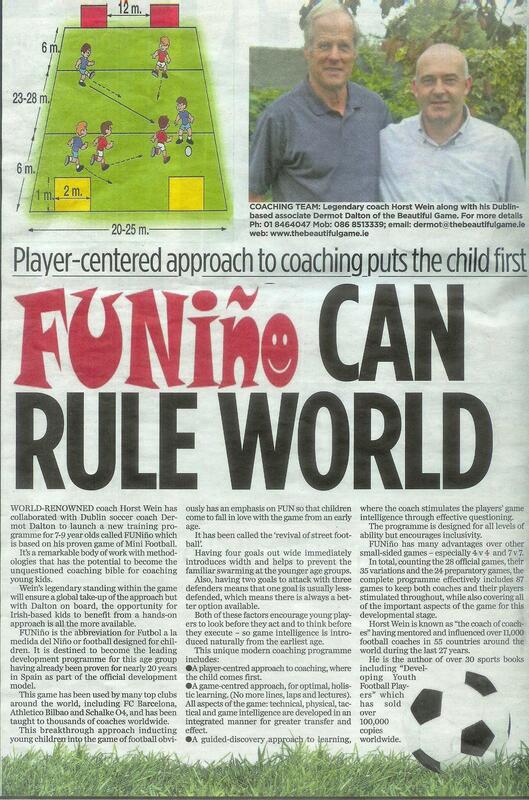 FUNiño is four-goal game created by Horst Wein, the world’s foremost authority on developing youth soccer players. Everything about the game of FUNiño is designed to teach young players “game intelligence” in an optimal setting where the game is the teacher and the rules are the instructions. By having two wide goals on each end of the field, the concept of “width” is introduced early on. Why is “width” important? Without it, you have what everyone recognizes as “swarm” soccer where everyone bunches up. To learn more about the game format. Professional youth academy and grassroots teams all over Spain, Germany, Italy and many other places around the world use the FUNiño player development methodology to teach the game. The curriculum is focused on teaching “game intelligence” in a player-centered, game-based environment. All that means is that the Decatur Soccer PDP, by using FUNiño, builds intelligence and creativity using something that all kids love: GAMES! What do kids like about FUNiño? Players touch the ball A LOT! There is nowhere to hide during a FUNiño game. Why is the FUNiño curriculum better for developing players than the Recreation program? should I pass or should I dribble? when my teammate has the ball, what should I be doing? when I have the ball, what are my options? Is the PDP and FUNiño right for my child? During the pilot phase of the FUNiño Player Development Plan-PDP, we will mainly target more experienced players for participation. This is done to simplify player groupings and make the training sessions as efficient as possible while we learn what will make this program successful for everyone. However, there is room for newer players who love the game and really want to develop. Above all, we are looking for players and parents who would answer the following questions with a strong YES! Does your child already love the game of soccer? Do you want to see your child become a smarter soccer player? Can you commit your child to attending no more than three training session each week and a 2-3 hour competitive, intra-league FUNiño tournament every three weeks during the season? Do you think there should be a way for your child to develop and grow in the game without the financial and time requirements of competitive travel soccer? Are you agreeable to participating in a pilot program that, by nature, may have some unknowns despite our best efforts to the contrary? This program is new, not only in Decatur, but the state, region and possibly the country. …you think soccer is just a great way to get your player some exercise. …the most important thing to you is being able to tell your friends and family that your child plays on a “winning” team. …you want to travel around the state playing in competitive club matches. …you, as a parent, want to shout instructions from the sideline during games. …you as a parent, can’t commit to bring your child to as many training sessions and competitions as possible. and finally, a normal soccer game. The concepts taught are appropriate for the age group and nothing provides more “game-like” repetitions than what’s found in the FUNiño game and teaching methods. A player-centered approach to coaching, where the player’s development and enjoyment are the priority. In addition to a completely different coaching methodology, competitions will be different as well. Instead of a single game or two every week, we will have three tournament days during the season on Saturday mornings where each player plays at least three games. A game-based approach to teaching and learning the game of soccer in an optimal environment. In this setting, there are no lines, laps and lectures. All aspects of development (technical, physical, tactical and game intelligence) are developed at the same time for improved learning transfer and performance. A Guided-Discovery approach to learning, where the coach intentionally guides the player’s learning through effective questioning and relies less on the typical practice of giving answers when problem isn’t clearly understood by the players, also known as telling the players what they should be doing. Is the Player Development Program selective or open to any player of any playing ability? Over the previous two seasons, we’ve had a wide range of skill levels in PDP; from beginning players to advanced. We learned a lot from these two seasons and have decided that in order for PDP to be most effective, PDP participants need to have above average playing ability. While being selective is a goal, it is not an absolute rule. If your child has a passion for the game and they want to learn how to be an intelligent player, we would be fortunate to have them participate in PDP. This season, we want to identify all interested PDP players prior to player evaluations. When they attend evaluations, they will be evaluated for inclusion in PDP at that time. What makes FUNiño so effective for teaching children the game of soccer? Soccer is a game for adults. FUNiño is game designed for kids. FUNiño was designed by Horst Wein to introduce children to appropriately complex concepts and to add complexity only when the player or team is ready for more. The secret to FUNiño is the supportive learning environment. Quick decisions are required, risk-taking is encouraged and creativity is fostered without fear of ridicule or embarrassment, or even failure. We want kids to dribble and only pass the ball at the very last second! We want them to love the ball. We want their team to love possession of the ball. We want simple passes on the ground – not in the air. We want their eyes up looking around for options and not looking at the ground. We want players to move when they don’t have the ball. Given time, the game of FUNiño teaches all this without the coach saying a single word in correction. When you add lots of scoring, lots of running and lots of success, you have what the kids like to call FUN. 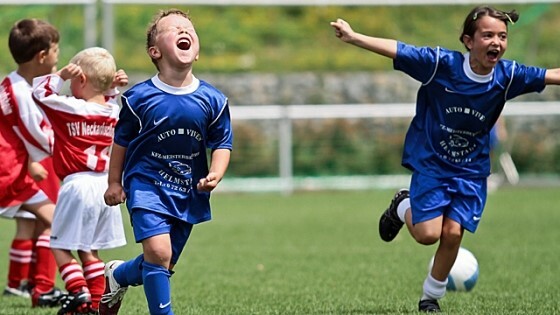 When you add the FUNiño curriculum and coaches who are trained to use it effectively, you have a structured environment where players actually PLAY (and have FUN) and they have no idea how much they are learning. Then, it’s too late! They are soccer players! How can something that isn’t “real soccer” actually teach the game of soccer? Think of soccer as poetry. When kids start school, do we ask them to start writing poetry? Of course not. That is absurd. Instead, kids are correctly introduced to letters, letter sounds, letter combinations, single-syllable words, simple sentences, etc. These are just a few of the basic concepts needed to master the language well enough to even talk about simple poetry. FUNiño represents these basic concepts in soccer. Soccer is a player’s game not a coach’s game. In the game, coaches don’t make decisions; the players do. Learning to make the right decisions takes years of learning. So does becoming a poet. Why are there mini-tournaments in PDP instead of single games? The Game is the Teacher. The Rules are the Instructions. Very little learning takes place in a standard soccer game. Most of the learning occurs in training sessions and the games serve as check-up on that learning. In FUNiño, where the Game is the Teacher and the Rules are the Instruction, a mini-tournament is just an extension of our development plan with more opportunities for constructive feedback between games. When developing players, the competitions are ALWAYS less important than what is learned in training. Why? For true development to occur, you can’t try to WIN RIGHT NOW and DEVELOP players at the same time. The goals of each are incompatible. Competitive, FUNiño mini-tournaments minimize the importance of single games. Awards will be given out at the end of the season for various individual and training group achievements, including Best Overall Training Group. Unlike a single game per week, the coach and players can talk about what to improve upon for the next game and then actually play the next game immediately. Rolling substitutions, constant involvement in the game and the high number of quality touches make FUNiño more physically demanding than a standard game. As a result, the games are shorter in duration. A tournament format with several short games makes more sense than a single game that is longer and exhausting. Lots and lots of scoring! 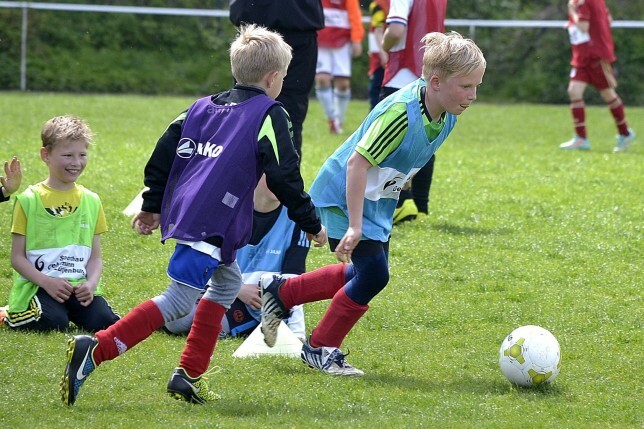 The mini-tournament format produces a large number of goals! It’s not uncommon for both teams to score over 15 goals per game! For the grassroots coach that genuinely cares about the development and well-being of their players, FUNiño provides an incredibly effective set of tools that will likely transform how you see your role as a coach of children. FUNiño lets this coach provide the best experience for all the kids while also helping the individual player reach their full potential. The different simplified games for 2, 3 and 4 player teams combine all aspects of training including physical conditioning. The players learn shapes and combinations by playing FUNiño. The coach can modify the rules of the games, simplifying or intensifying them, depending on the ability of the players and the goal of the session. Because there are fewer players, it’s easier for new coaches to observe, analyze, evaluate and correct the players’ performance. Due to the small numbers, a single coach can easily manage two concurrent FUNiño games. Resembles street soccer, but only better. In Germany, FUNiño is considered the revival of “street soccer” which produced many fine players in the past. FUNiño is different from the standard game, but concepts taught and learned relate directly real game situations. Playing simplified games is highly motivating to players compared to drills. There is no isolation of techniques, tactics, mental and physical fitness. All aspects are integrated, just as in the real game. Like the real game, unpredictable situations occur frequently! This creates a better learning environment and more adaptable players with greater problem-solving abilities. 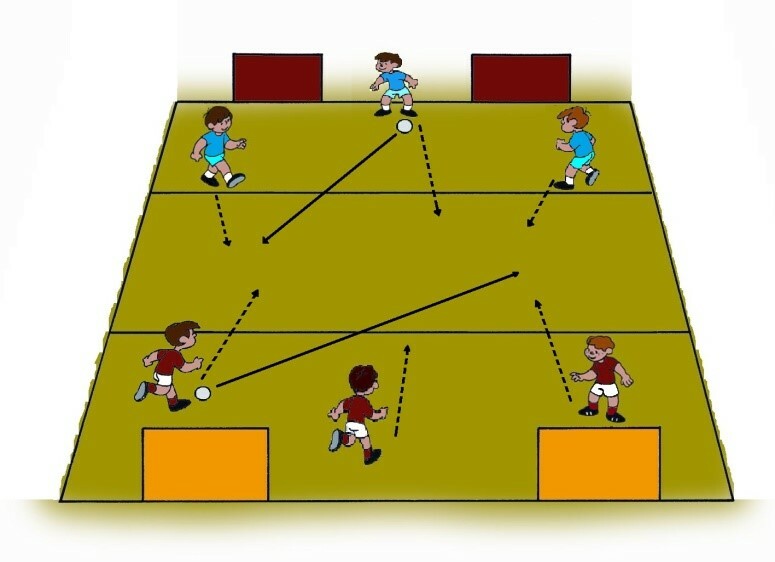 Sessions always start with a game so players are more motivated to participate in your session activities because they recognize their shortcomings in the game just played. The coach’s knowledge grows simultaneously from one level to another, with the kids. Less is More: less interruptions, less lecturing, less lines, less drills, zero laps and running without the ball equals less frustration for kids and more time enjoying the game. Decreased emphasis on separate physical exercises means more time with the ball and playing games. What a choice! The wise coach uses his skill to set up games to teach different aspects of the game. Instead of instructing the kids, the coach stimulates them with problems to solve themselves, continuously increasing their game intelligence. The coach guides the discovery of the kids through open or closed questions which foster understanding and learning whilst the kids are obliged to explore their creativity and imagination.